Ok, so I spoke too soon! | "I Prefer Their Old Stuff"
I knew it! As soon as I’d published my last post saying it was likely to be the last post about 2010 releases I knew that was tempting fate! 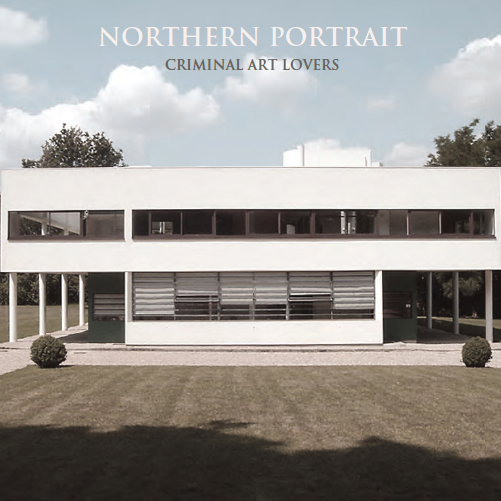 Not long after I was browsing yet another blog’s end of year list and came across Northern Portrait’s album “Criminal Art Lovers” that came out way back at the start of 2010 and fell slightly in love on first listen! If, instead of forming Electronic with Barney Sumner, Johnny Marr had got together with Martin Rossiter, vocalist from Gene then the result could well have sounded not massively dissimilar to “Criminal Art Lovers”! Northern Portrait are from Copenhagen but you’d be forgiven for thinking otherwise, their musical influences clearly lie in England around the late eighties/mid nineties. Awash with jangly Johnny Marr-esque guitars and Stefan Larsen’s vocals sounding, to me, strikingly similar to Rossiter’s around the time of “Olympian” or “Drawn To The Deep End” this album is a joyous indie-pop delight. Sure it’s not particularly innovative or original, how could it be with those influences? Even so this still manages to sound fresh and exciting. This is their first full length album on the Matinée label following EPs “The Fallen Aristocracy” and “Napolean Sweetheart“, but it has the sound of a band confident in what they’re doing and consequently I’m slightly bemused as to why they’ve escaped my attention for the best part of a year, a year in which I have been investigating more new stuff than I ever have before. However, when I tried to buy the CD I had the devil’s own job trying to find a copy through the usual online channels which may partly explain it, I balked at paying £19 for a copy on Amazon.co.uk! I could easily have got it from iTunes or eMusic of course but I still like to get the physical versions of albums that I really rate, so in the end I have ordered it direct from their US based record label (Matinée Records) for $10. Basically, in one sentence, if you have ever enjoyed anything by The Smiths, Gene or The Sundays, I very strongly urge you to give this record a listen, go on it’s only 36 minutes of your life! 🙂 You can listen to it here on Spotify. This entry was posted on January 5, 2011, 3:00 pm and is filed under Music Reviews. You can follow any responses to this entry through RSS 2.0. You can leave a response, or trackback from your own site. Certainly easy enough to listen to, and pretty enjoyable. However, instead of “still manages to sound fresh and exciting”, I question whether it sounds “a bit clean”. Just lacking a bit of edge for me. Nice find though. Yeah, “fresh and exciting” may have been me getting a bit carried away, I should let records bed in a bit before I wax lyrical about them! But I’m still finding I want to listen to it every day which doesn’t happen all that often so I stand by the rest of it!